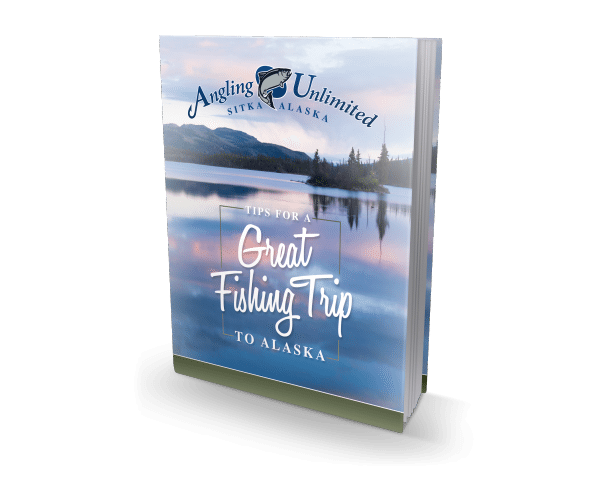 Through the years, Angling Unlimited has been blessed with exceptional captains. Sadly, Captain Phil, a pillar of production and customer service, has to move on after 13 amazing seasons. Phil during the early days of his career. Phil’s AU story began during his college days at North Dakota State University (NDSU), where he met fellow AU-alum Nick Hoban. Intrigued by Nick’s summer job opportunity, Phil contacted Captain Chuck to inquire about a position. Phil spoke to Chuck on the phone and was told AU had one remaining position – fish processor. Phil initially turned down the position, because he wanted to be on the water. But, as fate would have it, Chuck visited Fargo to meet with Nick and pressed Phil to join the team. During that meeting, Phil gazed at Chuck’s Sitka photo albums and knew he couldn’t say no. Phil spent his first season as processor, but also deckhanded a bit with Captain Tom. That taste of the ocean brought Phil back for another summer – this time as a full-time deckhand for Captain Ben Baumann. He credits those three years with Ben for his success as a captain. “I learned so much from my time with Ben,” said Phil. “He was a great mentor and we were a solid team on the water. It never felt like work, because we were always having fun.” Phil earned his captain’s license in 2004. Many of Captain Ben’s groups grew and guests who knew Phil’s work ethic and smarts as a deckhand jumped at the chance to have him as a skipper. Phil’s genuine personality, leadership, and drive impressed his clients, which made for many returns and requests in the years that followed. Phil began his captaining tenure by splitting time with Nick Hoban. The two alternated groups as captain and deckhand throughout the season. Then, the following year, Phil became full-time, captaining Gannet for two years and finishing with seven years on Larus. Each day had its special moments. From the daily drive through the serene straights, to a client catching their first king, to a humpback whale sighting, to landing a big halibut. Phil loved that enduring quality about the daily adventure in Sitka. He also noted a few career highlights. In May 2010, Captain Phil and client Jim Peterson landed a 430-pound halibut. 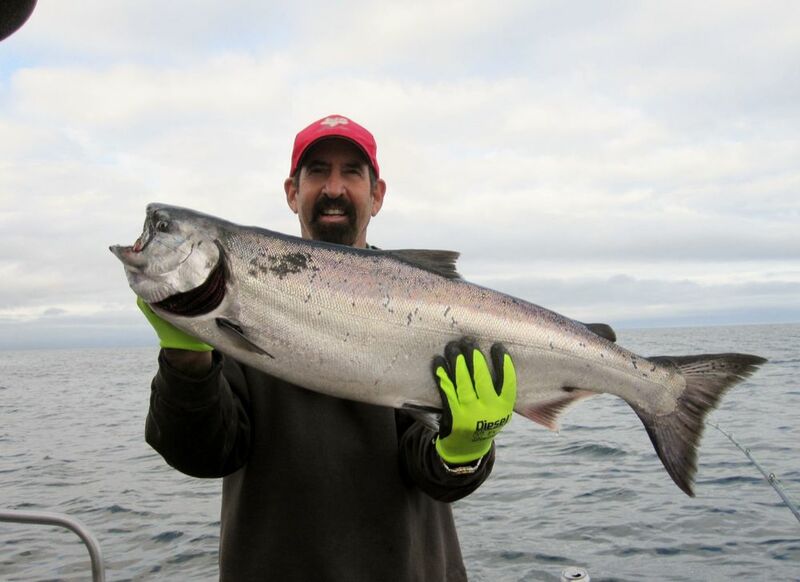 It set the benchmark for big halibut at AU and was only 29 pounds shy of an Alaska state record! Another lasting memory came this past year when 13-year-old Keegan Gallagher landed a 48-pound king at Point Mary. It was not only one of the largest kings Phil landed as captain, but also having a young kid catch it made it unforgettable. Phil’s summers in Sitka gave him a family. He met his wife, Brielle, while she was a hostess and he a deckhand. They have a nearly one-year-old daughter named Zaley. Captain Phil plans to earn his teaching license to transition from substitute teaching to a full-time position. His ideal role is teaching 5th or 6th graders in the Grand Rapids school district where his wife Brielle also teaches. Good luck, Captain Phil. You will be missed by the people who worked with you and the people who fished with you. Welcome to the World, Raika! Here’s wishing you and your family the very best of health, happiness and success – professionally & personally! Although I only had the pleasure of fishing with you for a couple of days during your years at AU, I have very fond memories of you and your professionalism. You clearly have been an asset to AU and a genuine go-to guy for others seeking assistance and guidance. Just seeing you each year for 6 or 7 consecutive trips was clearly indicative of AU’s endeavors to retain top talent. I wish you fair winds and calm seas!! I think I have been with you since the very beginning, sometimes twice a year! I enjoyed all your fish anatomy lessons when you were Ben’s deckhand and have especially enjoyed you as Captain. You always fished just the way we wanted to and we always came in with limits, or at least near limits, on everything! (The gloves were our good luck charm and you never failed to hang them on the boat for us!!) I agree, the highlight was catching the 430# halibut! What a day that was!! You always made every day a fun day. I really enjoyed getting to know Brielle when she was hostess and knew that the two of you were perfect for each other….and what a beautiful daughter the two of you have! I will really, really miss you and it will be difficult for the next Captain to fill your shoes….but I look forward to breaking in and training someone new!! 🙂 Our trip to Sitka each year will not be the same without you. You are a great friend and love both you and Brielle dearly. Thanks for all the great memories and fun times….and please come to Utah and visit! Best wishes on your new endeavors Phil. Your patience and hard work will serve you well as a full time teacher.